When filtering for media based on keyword type properties (both fixed value and free value) you may now enter multiple search values separated by comma. It is common to have a free value property named "Keywords". These types of keywords would previously only allow one search value, but now the specified search will be split on commas, and each search word will be searched respective to the "is/contains/..." operand that you choose. Searching "Keywords: QBank, Summer, Winter" might yield some results, but you won't immediately know which search word gave the hits. You would previously have to inspect each media to find the values it matched on, but now thanks to our added "search details" tool, you can quickly get a summary after the search has been completed detailing the number of results for each of your search words. 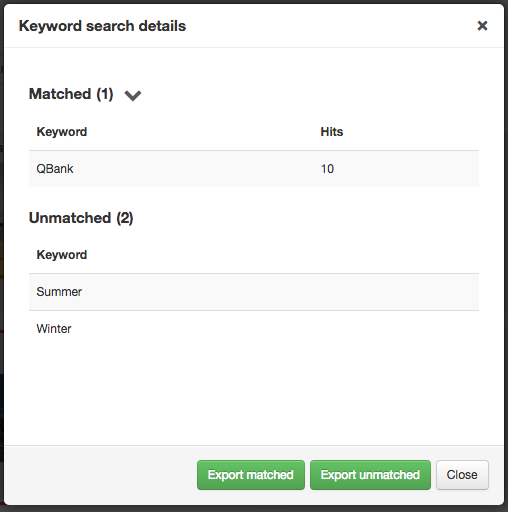 The tool also allows quickly exporting a list of the matched/unmatched search words. One perfect use case for this feature is when you have a long list of, for example, product codes that may or may not match a respective media in QBank. Paste your long list of product codes (comma separated) into the assumed "product code" property, do the search, bring up the details and quickly find which products you still need to upload images for. 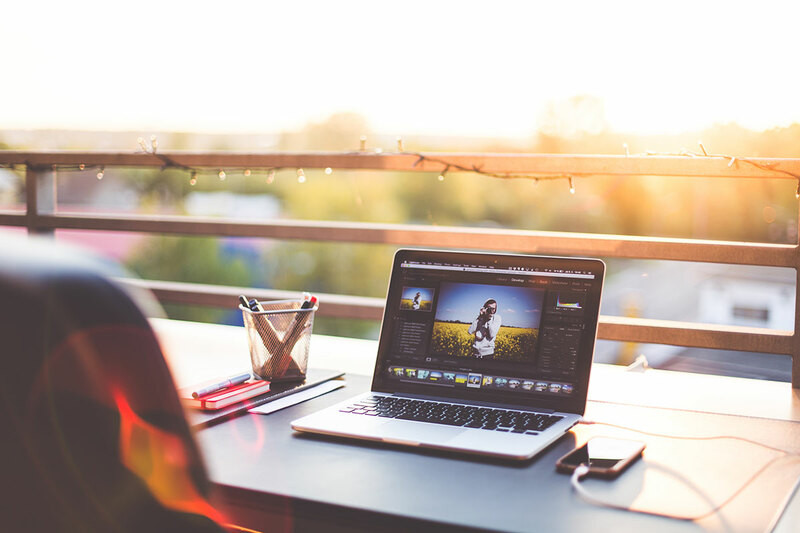 Export a CSV with the codes that didn't have a match and send to your photographer. Voilá! 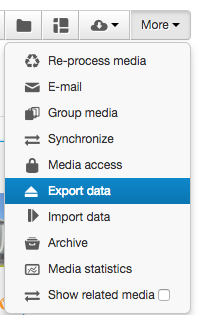 Did you know that you can easily export selected data for a selection of media? Perhaps to include in a spreadsheet, sync into another system, or just as a custom backup for some purpose. Well we've had this tool for a while and it just got a bit more versatile as you can now include publishing data in the export, as well as specify a multiple choice field that should split the exported data into one row per value. Like the example above with product codes, one media might have multiple interesting values that should be separated into individual rows. Select that property as the "array split" option and you will get any media with multiple values there in individual rows that will work better for your purpose. The "Business" moodboard usually handles business quite well. But the power of custom moodboard templates should not be underestimated, and as part of a recent project, we've now extended the options available when creating custom moodboard templates. 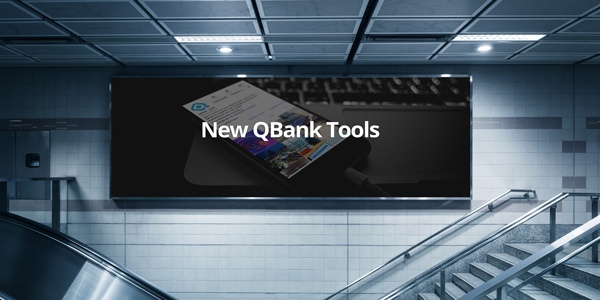 If you have some part of a workflow that involves or potentially could involve media in QBank, but needs optimizing, there is a very good chance that we could create a moodboard template that would solve your problem. Contact your QBank representative today for more information! Folders in QBank are sorted alphabetically as in most systems. 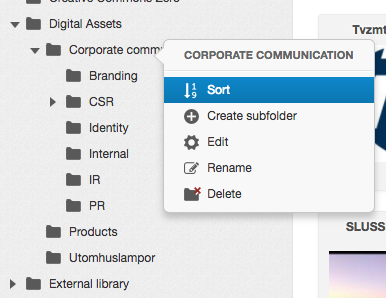 It is however common to include folder structures in media portals and other end-user interfaces. Sometimes you would want to sort the folders in a specific way for that purpose, which would require some workaround in QBank, like prefixing with a number or using a property on the folder to indicate sort order. We've now implemented a proper sorting tool into our "custom sorting" plugin, that gives you a quick and easy dialog as well as a context menu option to seamlessly sort your folders as required. The "Custom sorting" plugin is available as a plug-n-play extension to QBank. Keep up with the latest new features in our change log. 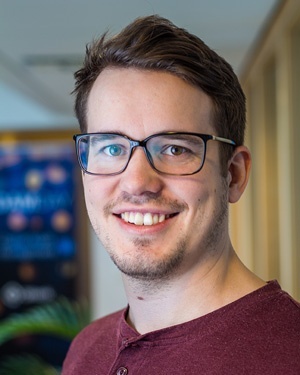 Kristian is one of our amazing Developers, and contributes with new cool QBank features!